Steam Inhalation improves blood dissemination, is normal expectorant, stress reliever, mitigating and common chemical. "I am supporting and encouraging more positive thinking, positive talking, and positive believing for a greater benefit! I am supporting and encouraging more loving, enjoying, and playing for greater memories! 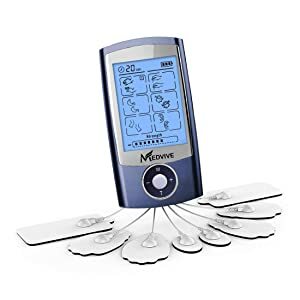 I am supporting and encouraging greater moments..."
Santamedical Dual Channel TENS Unit is easy to use, travel-friendly, loaded with preset programmes and eradicates the requirement of taking unnecessary pain killers. So all preparation is done, you have put all your heart into the Gate preparation, missed late night parties, movie night-outs, weekend trips---- put on hold these just for sake of the Gate exam. But is it all you need to do before the final moment as you are slowly approaching towards your exam. "I know I can do better! I want to do better! I am striving to do better! I know I have the power to better my livelihood, better my circumstances, and better my life! I am empowering myself for the better, to achieve for the better, and accomplish for the better! I am bettering my future..."
Remember, positive thoughts for positive results! "I am not making my life worse because I am making it better! I am not thinking negatively because I am thinking positively! I am not hating my life because I am choosing to do what interests me, be in places that interest me, and enjoy those who interest me..."
Today, a quality reminder to move forward with a quality self! This here is to assist you upon being the best version of yourself while striving to enjoy a quality version of life you desire to remember in the flesh. Building A Support Network of Fellow Authors: who's the enemy? Outlining vs. Freewriting. What are your thoughts? How Important to Book Sales is the Cover? When is the Right Time to Hire a Book Editor? POD Versus POD: Or What's the Difference Between Print On Demand And Publish On Demand?